Attorney Erin Morgan Klug has joined Varnum’s intellectual property law team in the firm’s Novi office. Klug is an intellectual property law attorney focusing on patent and trademark procurement to develop both domestic and international intellectual property strategies. She worked in mechanical and electrical arts including automotive, chassis systems, brake assemblies, packaging, medical devices, consumer goods, mobile applications, sensors, and control systems. Previously she was a partner at Dinsmore & Shohl in Troy and also was a shareholder at Gifford Krass in Troy for nearly 10 years. 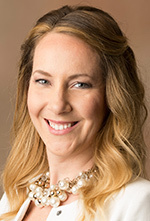 Klug, of Northville, earned her mechanical engineering degree from the University of Michigan her juris doctor from Case Western Reserve University School of Law in Cleveland.